A strawberry daiquiri made with vodka is a refreshing twist on a classic cocktail recipe. Daiquiris often make the list of popular cocktails. The original recipe for a daiquiri is a simple mix of light rum, lemon or lime juice and simple syrup. The ingredients are combined with shaved or crushed ice in a shaker. This recipe creates a nice balance between the sweet sugar syrup and the tart citrus juice. Light rum is a great liquor to use because it has a slightly sweet taste that comes from molasses and sugarcane. This type of rum may be called silver or white rum because the liquid stays clear after it ferments in stainless steel or plain oak containers. Variations of the original daiquiri recipe have emerged over time, and frozen daiquiris are now the most popular versions. In fact, frozen strawberry daiquiris are among the most loved of the frozen drinks. 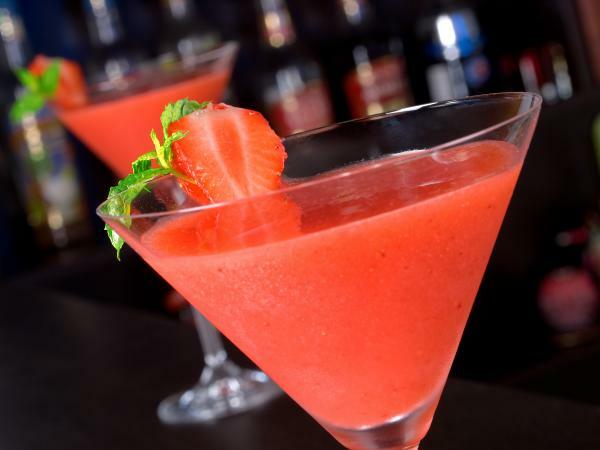 While many stick with rum for the strawberry recipe, a strawberry daiquiri made with vodka is a great option to consider, especially with the different types of vodka available. Many prefer vodka for their daiquiris because it doesn't have as much flavor as rum does. Vodka is similar to light rum both because it has a short fermentation period using stainless steel containers and because it is clear, but the mash used to make vodka does not contain molasses or sugarcane, yielding a relatively flavorless liquor. It is important to remember that not all vodkas are created equal. Some less expensive brands still have a strong alcohol flavor. It helps to choose smooth liquor to avoid the rubbing alcohol aftertaste associated with cheap vodka. Also, some distillers offer flavored vodkas that are carbohydrate-free and use real fruit in the fermentation process. Some add syrup to their liquors, lessening the quality and adding sugars and carbs in the process. Including vodka in frozen strawberry daiquiris can add interest to the icy beverage. Replacing the rum is a simple step, but you do have a couple interesting options to consider, depending on the time and effort you want to put into the mix. Many love a quick and simple drink recipe for social occasions, while others want to make a splash using ingredients made from scratch. Few things are as simple as making a frozen daiquiri using a premix. Many products are available, and it may take some trial and error to figure out which products suit your personal tastes. 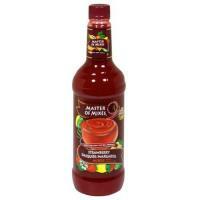 Some products use real fruit in their drink mixes, making them ideal choices for authentic flavor. Some of the mixes are very convenient because they simply involve adding liquor and ice to the mix and putting it in a blender. For ultra convenience, some products are actually freezable, requiring nothing more than adding the liquor and freezing the drink for a few hours before serving. Put ingredients in a blender with ice and puree until smooth. Use powdered sugar or granulated sugar instead of simple syrup. Replace plain vodka with flavored versions, like citrus or berry. Add an ounce of Strawberry Schnapps for a sweeter drink. Add Triple Sec to reduce the tartness from the lime juice. Replace the lime juice with lemon juice. A strawberry daiquiri made with vodka can easily become a favorite. You can try many different ingredients to come up with a signature cocktail recipe that is truly unique.